Let’s look at the main types of leather used in furniture upholstery and their key features. 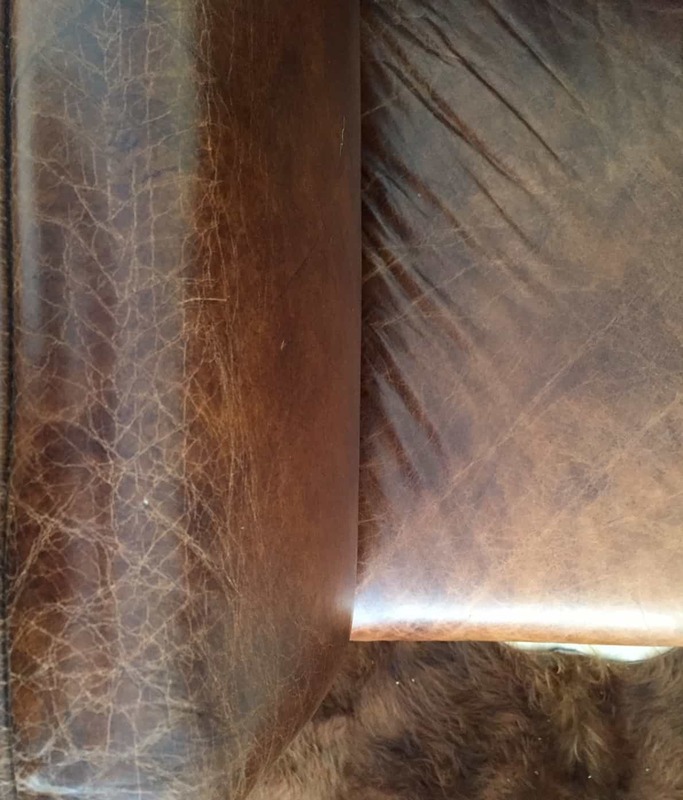 When it comes to caring for upholstery leathers, it’s important to know what type of leather you have before selecting your leather care products. That’s because each finish tolerates and benefits from different cleaners, conditioners and colourants. Using the wrong product may expose your leather to the risk of damage, unwanted changes or provide less than optimal results. So, how can you find out what leather you have when your memories and receipt have faded? There are a couple of quick checks you can make to unearth the missing information. Look for a product tag. Check the underside of the sofa, the lower backrest seam or the bottom of a cushion for a descriptive tag. 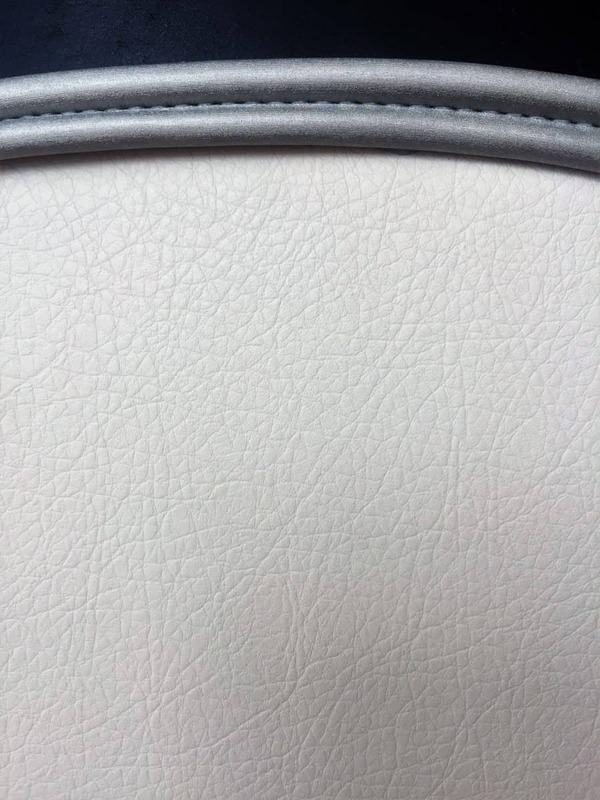 If you are in luck, it may list the type of leather and your search is over. Search online for the same model. If you know the manufacturer, brand and model and it’s still in production, you may be able to verify the leather type via an online search. If you only know the store, they may also be able to help. Each type of leather has broadly typical characteristics. 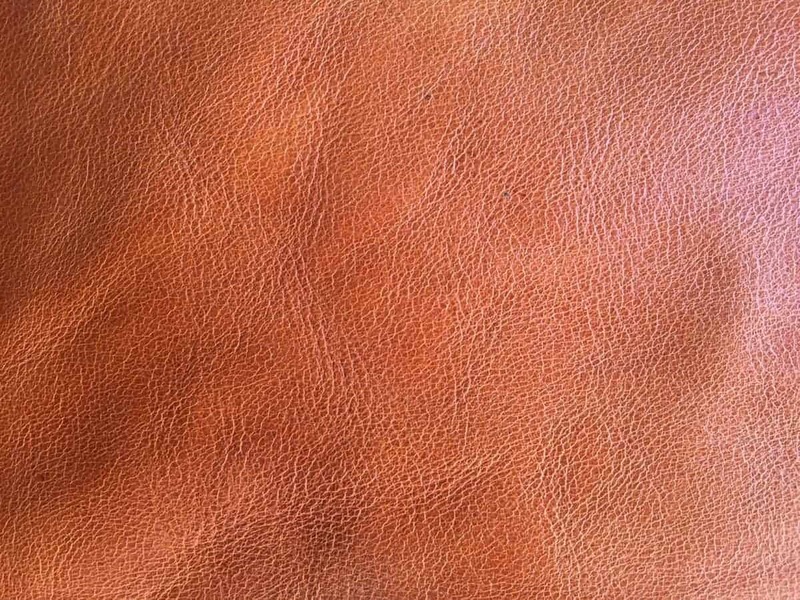 Use this quiz to help identify your leather. Aniline leather is “unfinished”. With little or no protection from topcoat layers, it tends to show scratches and absorb water quickly. Aniline leather is usually drum dyed. The colour passes right through the hide from the front to back. Popular shades include tan, brown and mahogany. Luxuriously soft and warm to touch, anilines may display naturally irregular grain, blemishes, wrinkles and creases. Semi-aniline leathers are a more practical version of this premium leather type. They are semi-protected by light layers of colour and topcoats which lend serviceability. Use Leather Hero’s Nubuck, Suede & Aniline Care Kit to keep you aniline upholstery looking its best. Pigmented leather is the most common leather type found in family homes and cars today. If your sofa is opaque monochromatic red, black, blue, white, stone, chocolate or any other solid colour, it is more than likely, upholstered in pigmented leather. This practical material is finished with layers of protective colour and topcoats that lend a degree of water and stain resistance. In addition, manufacturers use transparent pigments and dyes to create special painted finishes such as antiquing. The Leather Hero Leather Care Kit is ideal for maintaining pigmented leather. 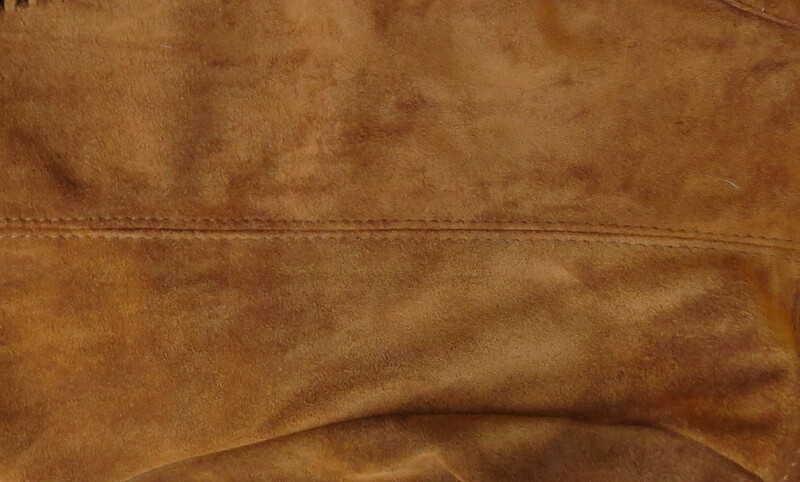 These leathers are relatively easy to distinguish as a result of their luxurious plush hand (feel under touch). Nubuck and suede are ‘unfinished’ or ‘unprotected’ types of leather. This means that they have no barrier to soiling, spills and stains. Often made in soft warm whites through to rich tans and browns, these leathers require specific care to maintain their beauty. Choose from Leather Hero’s range of Nubuck, Suede & Aniline leather care products to make your leather look great and last longer. During the finishing and upholstery processes, a tapestry of light coloured fault lines forms on Pull-up leather. These beautiful random striations add character and appeal. Waxed leather tends to be water resistant and often comes in the ‘natural’ earth tones of tan and brown. If you have a waxed leather sofa the Leather Hero Waxed Leather Care Kit contains your must-have leather care products. Bonded, split, PU, faux and vinyl are man-made materials. Although they are not technically types of leather, they are commonly used in upholstery and often referred to as ‘leather’. Bonded and split leather both contain some leather components but are heavily processed to render a viable product. In fact, leather may be a minor ingredient in the final product. The other ‘leathers’ are synthetic versions that mimic the real thing. Manufactured from plastics and fabrics, sometimes the underside looks woven, other times not. Smell is usually a good differentiator as are unnaturally regular pores. The Leather Hero Leather Care Kit is perfect for keeping these materials clean, soft and protected from soiling and stains. What’s good for one type of leather may not be good for the next. There is a myriad of leather finishes and each has unique needs. It’s tempting to always go for the strongest leather care product to make light work of the task. Consider this; a waxy polish might be ideal for waxed leather whilst creating unwelcome changes on suede leather. A far better choice is to use leather care products that are developed for each type of leather. This minimises the risk of damage and ensure that you achieve the best possible results. No matter what type of leather you have, remember that you want excellent short-term and long-term results.Avoid home-made and cheap leather care products. 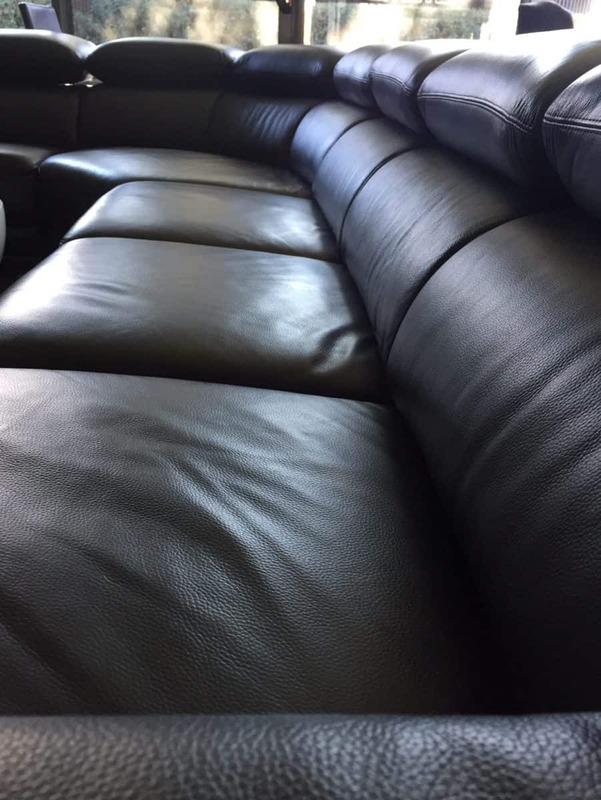 Stick with professional grade solutions and give your leather upholstery the care it needs. Your leather upholstery doesn’t need much from you but it will respond generously to the right care. You can easily choose the right product for your job now that you are armed with the right information about the types of leather most commonly used in furniture upholstery today.